History is important, especially when it comes to real estate. What happened before us can have huge impacts on our current lives and in most cases should. Imagine if you owned your home for 30 years, or it was in your family for 100 years, and then one day new owners came and said you had to leave because your deed was to old and it didn't matter anymore. That old deed does matter. Legal deeds HAVE TO matter. Our entire country is divided up by deeds. The cornerstone of the "American Dream" is having the right to own property. If deeds don't matter: we have no homes of our own, we have no security, and we have no rights as citizens. We'd be back to being tenant farmers and serfs. So, history is important, and that is especially true when it comes to real estate. This is the case with our story in Shohola. Here is a brief history of the Walker Lake area of Shohola and how that history set the stage for current events. ​The Village of Shohola was settled in 1772. The 45 square mile township was formed in 1852. As of the 2000 census, there are 2,088 people, 836 households, and 585 families residing in the township. In 1911 a deal was struck between Kilgour Bluestone and the Swezy family. Kilgour wanted to retain water in the then Big Walker Lake (which was more or less a swamp) for use in their stone quarry downstream (Pike County deed Book 65 Page 72). In that deed the Swezy family agreed to split off a parcel of land with the agreement that the Swezys retain an easement to the waters of the lake for recreational use. ​Since this was a commercial venture Kilgour & Co. agreed to the easement. They had no interest in developing the land for residential use, or, using the waters for any kind of planned community. ​The 1911 deed reads that our developer’s family, heirs, and assigns have “free, unrestricted, right to use the waters of Walker Lake”. So everyone is happy in 1911. Kilgour gets their stone quarry water, the Swezys get to use the water, and life goes on. So over the next few decades the deeds show that the Kilgour side of the lake changes hands a few times and there are other commercial ventures (such as the Shohola Mountain Spring Water Company) that come and go. The Swezy side of the lake (where my home is) is held and maintained by the Swezy family. Eventually, both sides of Walker Lake start developing into residential areas. Vacation homes, retirement homes, lake homes, all that good stuff. There were homes being built prior to my property coming into the mix, but for the sake of simplicity I'm going to just deal with my chain of title. Circa 1960, Harold Swezy had a boundary dispute with Dorothy Meyer who owned a large parcel on Twin Lakes Rd. Dorothy was my neighbor for a while and a very nice lady. Anyway, Dorothy and Harold decided to split the difference and the strip of land that Dorothy conveyed to Harold is what now contains my home. ​This is how my property came into my development which is known as Maple Park. ​Go to the Maple Park page to continue reading. 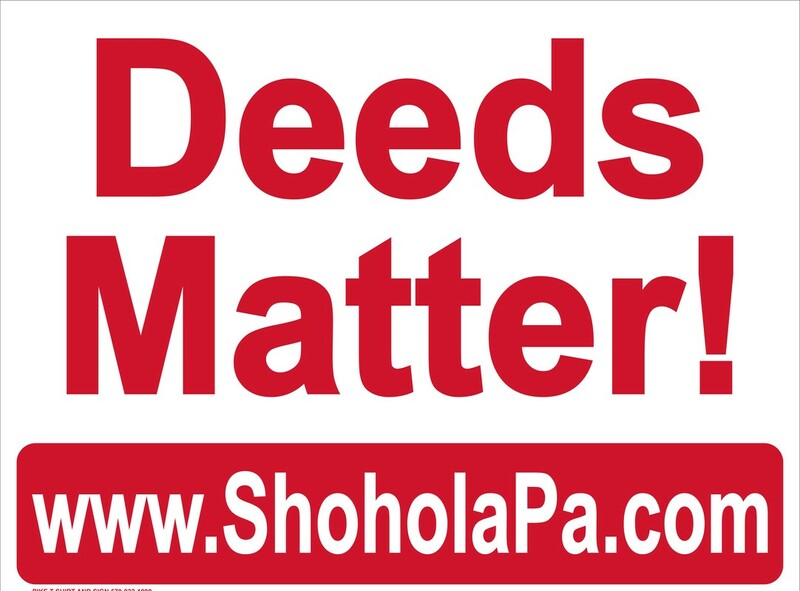 ​The 1911 deed is only available at the county deeds office. My copy is posted here.